Carpet Master of California (CMC) is an owner-operated business that has served the Los Angeles area since 1987. Partners Randy Womer and Sean Tucker bring a combined experience of over 40 years in the carpet restoration arena. By partnering with Carpet Master of California you are ensured the highest quality of service dedicated to exceeding your expectations. We are a full-service restoration company. We offer the best service available in carpet, area rug, and upholstery cleaning. We specialize in all repairs, re-stretching and water damage. Our objective is to provide you with guaranteed satisfaction. 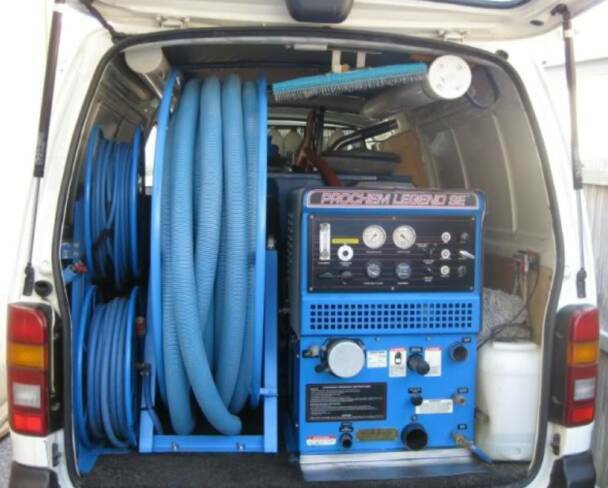 We extract the water, remove the wet pad, disinfect the damaged area and dry the carpets. The following day we reinstall the carpet with new pad, clean and deodorize. Your clients are inconvenienced for only one to two days. CARPET MASTERS OF CALIFORNIA IS THE WORKING DEFINITION OF PROFESSIONALISM. PUT OUR EXPERIENCE TO WORK AND LET US EXCEED YOUR EXPECTATIONS. Water is heated to 190 degrees and mixed an emulsifier detergent that has color brighteners, disinfectants and deodorizers. CMC uses a 16” drag wand that has four jets to inject the hot water and detergents as opposed to two jets in a standard 12&apos; scrub wand.CMC uses a power stretcher to stretch your carpets vs. a knee kicker. CMC has years of experience in repairing all types of carpets. CMC has been in the business long enough to realize the importance of repeat and referral business.